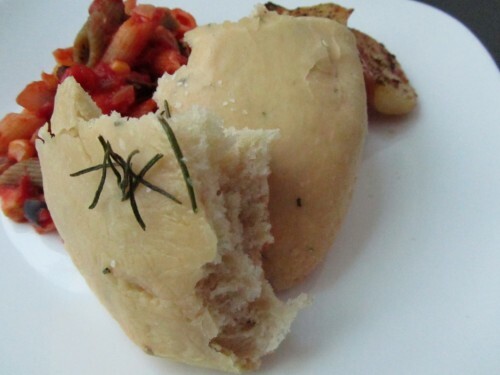 Easy Vegan Recipes – Easy Bread Recipe – Rosemary Bread Recipe | Cook Eat Delicious! Fresh Baked Bread has no rival. I mean, who could stand against the inviting aroma and the warm softness that is bread? And then there is the whole “Bread & Butter” concept. What about the vegans?! For all you vegans out there or those staying away from the dairy here is a great Vegan Bread Recipe that is seriously Delicious! 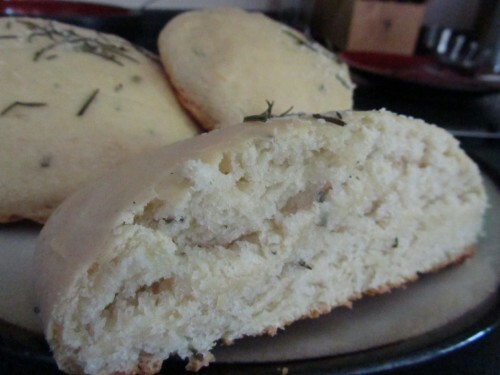 This vegan Rosemary Bread is aromatic, moist, and perfect with an Oil & Vinegar dipping sauce. 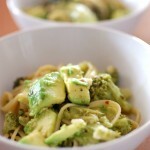 Serve it with your favorite Italian dish or with my Vegan Penne & Artichoke Hearts Recipe. Delicious Rating: Delicious. 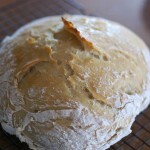 This easy recipe for bread isn’t dry and has a good crumb to it. For some reason that I am not sure of my loaves never browned. 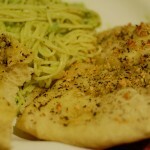 Although I brushed some with Olive oil, they never fully browned like I was expecting. Maybe to brown it needs egg or butter brush? Regardless, the bread tastes amazing. 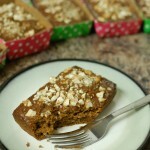 It is best eaten the same day I think, although it did keep well overnight I prefer it fresh out of the oven ;-). 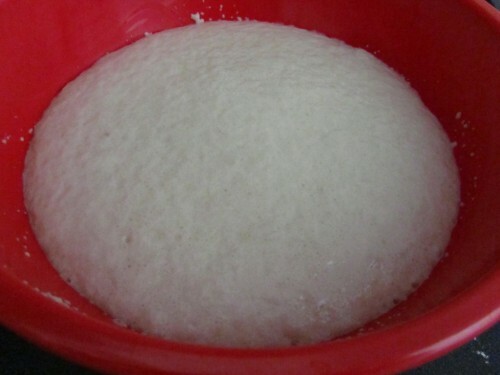 Place yeast, sugar, and water in a bowl and allow to proof for 10 minutes. 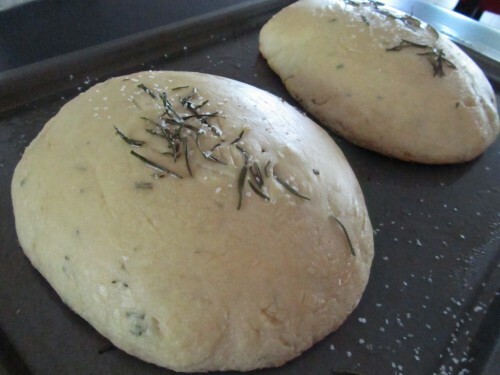 In a large bowl combine 2½ cup flour, salt, rosemary, and olive oil. 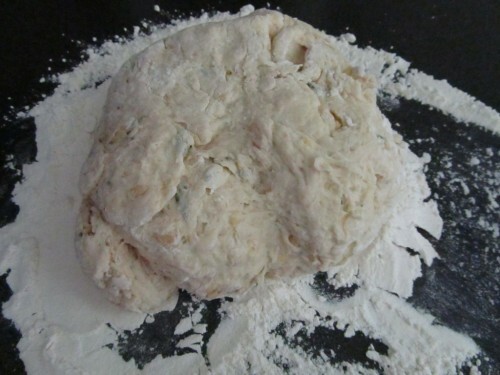 Knead for 8 minutes adding in ½ cup of flour if necessary. 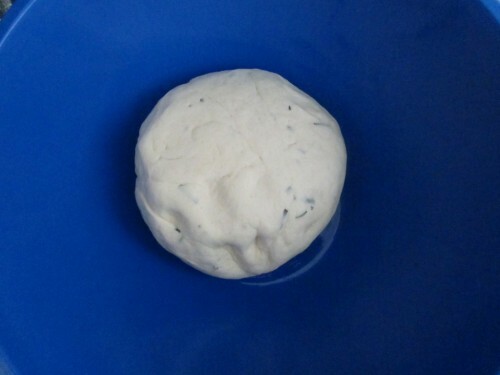 Oil a large bowl and place kneaded dough ball inside and cover with a towel. Let rise in a warm place for one hour. Shape into rounded loaves and brush with olive oil. Sprinkle with salt and extra rosemary if you prefer. Let loaves rise again for 45 minutes. 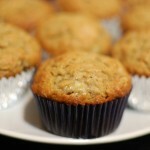 On an oiled baking sheet, place loaves and bake for 18 minutes or until lightly browned. 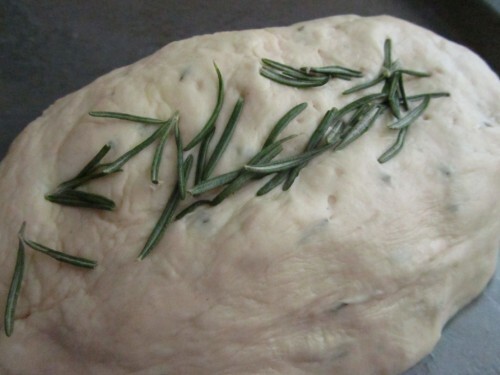 If you don’t care for rosemary, try a basil bread or thyme. This is the perfect bread recipe to mix and match flavors in. See how it didn’t really brown, the bottoms did, just not the tops. Egg wash maybe will be needed next time. Many compared this bread to the bread served at Macaroni Grill. 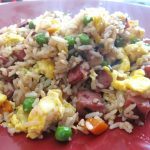 It is pretty similar plus this is vegan so yay!